Replacement gear cable anchorage for Sram internal gear hubs, found on older 3 and 6 spd Brompton bikes. My Sachs 3X7 Hub Is Up And Running Again! Had a hard time finding this product. It works well and is very easy to install. This item no longer available in the US. Ordered as a backup for Sachs 3x7. Just want I wanted for an aging dutch 3 speed using Sachs/Sram hub gear. The picture is a true indication of the product. It was important to have a tiny allen bolt to secure the cable. 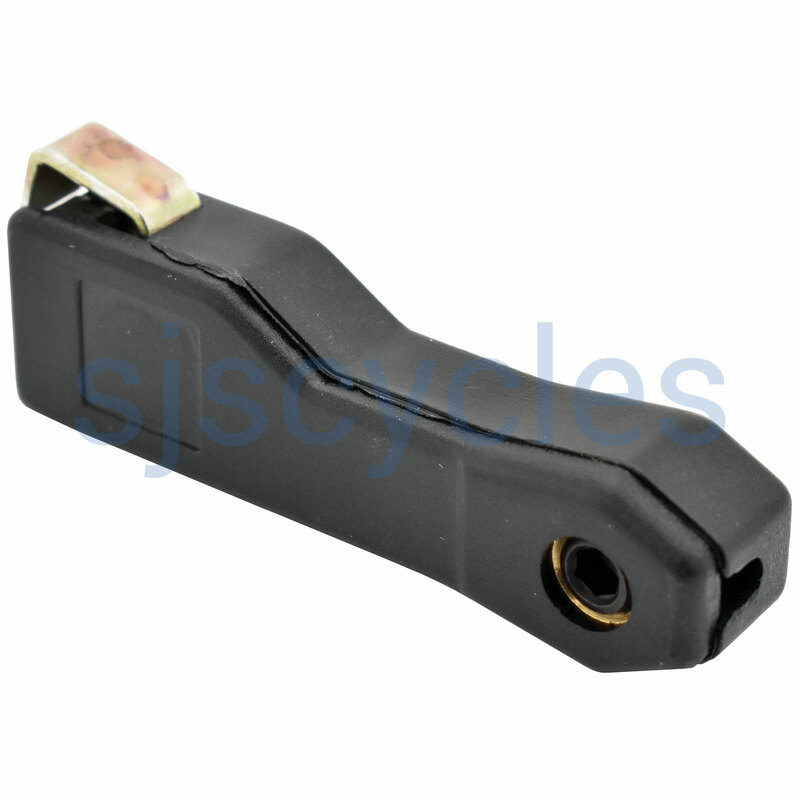 Is this compatible with the Sram T3 toggle chain (35044)? I had to replace the old toggle chain that came with my 80s era hub but the replacement toggle chain is too narrow to ratchet with the original plastic sleeve. Will this sleeve fit the new one? Yes, this should be the suitable replacement to work with the T3 toggle chain.